﻿ Buckeye Beach Park - Ohio. Find It Here. Buckeye Beach Park LLC. 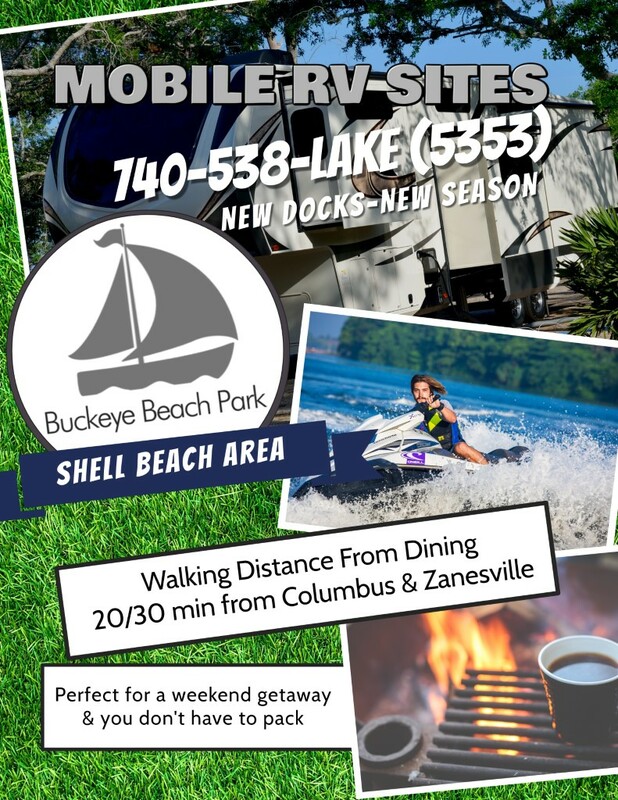 & Mobile Home Park is proud to be the only mobile home park, RV campsite and boat dock and storage located with direct access to Buckeye Lake. We offer not only a mobile home park for long-term living but also a campsite for seasonal enjoyment. Our docks and marinas are also available for rent for your convenience.? ?Located in Fairfield Beach area, we are situated on the corner of Shell Beach Road and Bateson Drive, with dining and bars located within walking distance. Whether you're looking for a long-term living or a summer vacation spot with your family, Buckeye Beach Marina provides accessibility and affordability to enjoy all Buckeye Lake Ohio has to offer! ?